This is becoming something of a pattern. The market trades to a critical level and stalls. 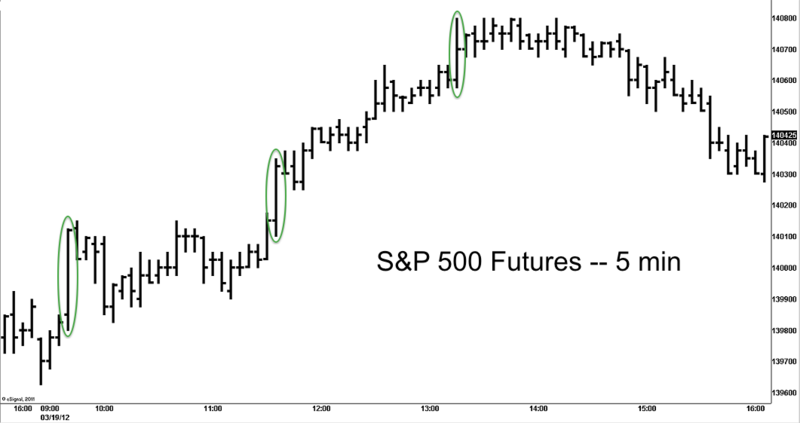 The push through resistance comes in three big intraday buy programs (circled in green, below). We saw this back on February 27, 2012 when we made a push through $SPX 1368. Click here for previous post. No doubt this is evidence that there are still big buyers out there. 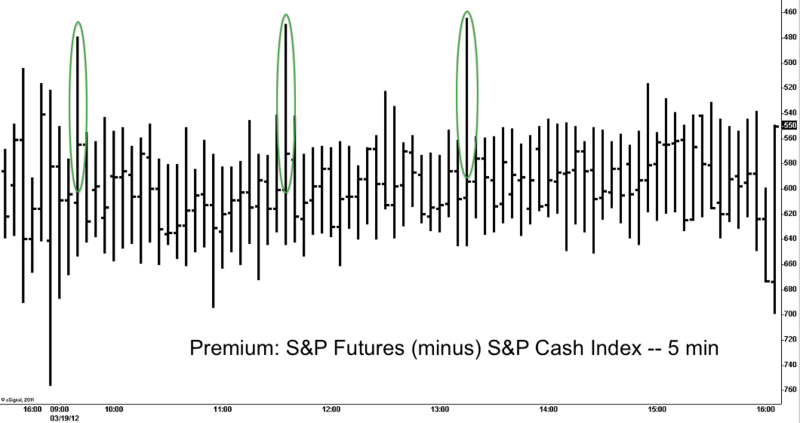 These large buy programs are a result of players getting long or the buy stops of short sellers getting hit. Most likely a combination of mutual fund Monday buying and traders positioned short against the backdrop of 1400 and having to cover. Whatever the cause, it takes a lot of buying to move the premium that far away from fair value. The last time we saw this type of pattern we did trade higher in the following days but we also pulled back 30 handles within 5 sessions. Not making any predictions, but the action is worth noting.